Most businesses agree on using Google Adwords as a successful form of online advertising, but are you actively doing everything you can to keep your business on top? In 2016, Google decided to change it’s Adwords formatting to give businesses a better chance at initiating targeted audience interaction for a mobile world. 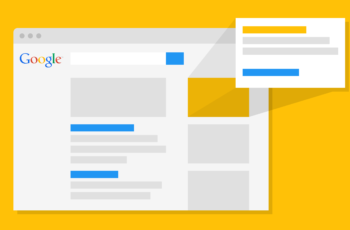 Expanded Text Ads were created to increase clickable space and add detailed links. Have you started implementing these types of ads to your website yet? How does this process work exactly? The Adwords Conversion Tracking system is able to determine how profitable ads are performing on a given website. For example, if Mallory purchases ads through Google Adwords to draw in new customers, she can get a feel for how her ads are performing. She can see what type of ad led a customer to contact her. She can alter her ads depending on what keywords were used to draw in the new customer. The tracking system developed by Google is able to pinpoint what ad information led the customer to Mallory’s site. Mallory is now more aware of how her ads are working to boost her sales, and she will continue to check the tracking system to use the best ads possible. As with the example of Mallory’s ad tracking, you can do the same tracking with your own business. Just import your conversions with this easy tool. This tool allows you, the business owner, to track how the potential client interacts with your ads and can help you determine what keywords to implement in future ads. A simple step to ensuring that your Adwords are successful is to set a target audience. Countless websites forget to be specific when running their advertisements. WHO do you want visiting your website? WHY do you want a certain person interacting with your ad? HOW will you use your ads to find the right audience? Consider all of these important factors when developing a Google Adwords management strategy for your business. Once you have the right audience in mind, your ads can become more interactive and will give you a chance to draw in potential customers. The Google Keyword Planner can help you target an audience in a simplified manner to aid in your Google Adwords management. Lucky for you, we have outlined a detailed blog post all about using Google Keyword Planner for your ads. We discuss at length how to find the best keywords to use for your ads. Before running through the planner, do your research! Find out what keywords are working for your type of business. For example, if you are a small business that sells soy candles, you may want to include the words “natural soy candles” to attract an audience that is interested in your specific branch of candles. This type of specific keyword marketing that is pertaining to a certain audience who is looking for soy candles will help you hone in on a particular group of people. On the flip side, another aspect of Google Adwords management is using general keywords to broaden your audience. As with the soy candles example, you could use the keyword “candles” to target a much larger group of people. Both advertising strategies can be useful, it depends on how you want to reach your audience. Are you looking for specific customers who only buy soy candles? Then be more specific. Do you wish to entice an audience who doesn’t necessarily restrict themselves to buying only soy candles? Then use more general terms. To improve your Quality Score, add a meaty keyword to your ad headline. Make sure it’s a word that can immediately tell your audience what the rest of your website will entail. People quickly glance over ads all the time, so they need to be excited to click on yours. What are they missing if they don’t click on your ad? Is your ad important enough for your audience to click through? What can your audience expect when they click on your ad? Make your headline believable. Are you clearing out inventory? Let your audience know that a huge sale is going on and they can’t miss out. Make this sale a part of your headline by choosing a keyword like “discount” and “sale” to optimize audience interaction. These ad extensions can be helpful to increase your ad Quality Score and attract potential buyers. How do Sitelinks work? Have you used them before? They can be powerful links that coincide in addition to the main ad you are running. You can utilize Sitelinks as a way to direct your audience to other landing pages on your website. Sitelinks contribute to a successful Google Adwords management process. For example, your headline can bring them to your homepage while a Sitelink can bring them to a sale page or a place to contact you. Either way, your customer will be visiting your website – whether it happens to be a headline or Sitelink. You can write relevant information on a few Sitelinks to bring them to other landing pages. Using phrases like “Free Shipping” and “Special Discount” can spark interest in a potential customer. Sitelinks are your new best friends. They can drive huge sales by incorporating catchy keywords. Adding Sitelinks has quickly become a proven tool for Google Adwords management and it allows you to implement more words to optimize the value of your ad. Stay relevant by using Google Adwords to attract new customers. It’s easy to forget how important AdWords can be to deliver higher sales when you are unfamiliar with a management strategy. Hopefully, we were able to share with you some insight into how AdWords can contribute to your business’s success.